Our goal is to connect people with the best local experts. 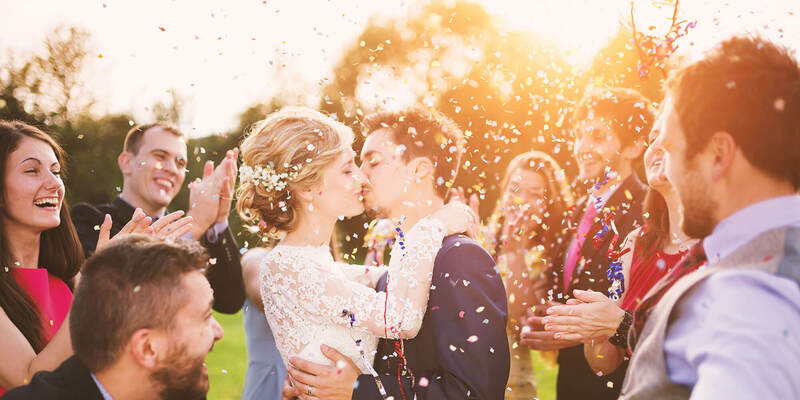 We scored wedding photographers on more than 25 variables across five categories, and analysed the results to give you a hand-picked list of the best wedding photographers in El Cajon, CA. Andy King Photography is an Alpine business that has been serving clients for more than 16 years. The business provides a variety of wedding packages which include six, eight, or 10 hours of wedding day coverage, high-resolution files, access to an online gallery, and depending on the package, a highlight montage, an engagement session, a trash the dress session, a coffee table album, a photo booth, and a second photographer. Other sessions Andy King Photography offers include lifestyle, head shots, and boudoir. Andy is willing to travel to various destinations nationally and abroad. San Diego A-List voted Andy King Photography the Best Photographer in San Diego. Clients remark on their professionalism, flexibility, quality of service, responsiveness, and passion. Angela Garzon Photography and a San Diego-based studio. Professional photographer Angela is a fun-loving adventure enthusiast who enjoys finding beauty in even the most ordinary of places. She loves documenting emotional connections between people and families as well as to their surroundings. Angela is always seeking the perfect light and views to be backdrops for her photos, and wants to explore new sights with venues with her clients. Angela strives to tell a story with each photo; she wants to capture the spirit, the mood, the feelings, and the emotions present in any given moment. She works closely with her clients to understand their hopes for the shoot, and she goes to great lengths to achieve the perfect picture. Eight Film Studios is an El Cajon, California based photographic studio that provides a variety of services and has been in operation for over 10 years. The company is appointment only, and clients can schedule a consultation through the company's website. Music video productions, film cinematography, and basic portraiture are just a few of the multitude of different services offered by the company. Eight Film Studios works extensively in wedding, lifestyle, family, and graduation portraiture and utilizes the latest camera equipment and videography practices to make the most authentic images possible for its clients. Clients frequently praise Eight film Studios' attention to detail and camera skills. Golden Eye Photography is an El Cajon, California based photographic firm that has been in operation for over three years. The company provides a variety of professional photography services to a wide range of clients. Weddings, engagements, and parties are just a few of the different events where the staff at Golden Eye Photography have experience. Past and current clients of Golden Eye Photography praise the company's commitment to quality work and its affordable prices. Prospective clients can contact Golden Eye by phone, email, or through the company's social media pages to schedule an appointment or to receive a pricing consultation. Lori Whiteley is a San Diego area photographer. Her range of photography options includes wedding and elopement services as well as portraits photos for families, children, seniors, engagements, couples, and maternity. Specific packages for weddings and elopements are available upon request. Her engagement package includes a one-hour session at a San Diego area location chosen by the client, 20 to 30 retouched digital images, and sneak peaks of the session on Whiteley’s Facebook page. The engagement session is included for free when bundled with a wedding of six or more hours. Clients note that Whiteley has great creativity, an outgoing personality, and a love for her work. NuVision Photography has been providing professional photography services in the San Diego, California area for nearly 20 years. Specializing in wedding photography, NuVision offers decades of expertise and an artistic eye to capture every special moment no matter how big or small. Their style of photography is natural and photojournalistic. Founder Gary Sako has partnered with professional photographers and talented designers to provide a personal experience for every client. Full-time customer service ensures that any concerns or questions are addressed in a timely manner. In addition to wedding and engagement photography, NuVision also provides studio photography services for child, family, and maternity photos. Rachel Dale Photography is a San Diego, California based photographic company that provides a wide assortment of photography services to clients throughout the area. Weddings, engagements, and family photo sessions are just a few of the areas of photography that Rachel Dale Photography specializes in. Owner and operator, Rachel Dale, maintains an active social media presence to document her most recent projects and share the latest company news. She also offers editing and print production services for virtually all of her clients' photo shoots. Prospective clients can contact Rachel by phone or email to schedule an appointment or request a pricing consultation. Shari Barnes Photography is a photography company in San Diego, California. Their photographer, Shari Barnes serves the entire Southern California area and beyond. Shari is described as a natural-light, lifestyle photographer. She has been a professional photographer for more than half of her life, and she promises to make each event and session fun, relaxed, and beautiful. Shari Barnes Photography specializes in weddings, families, and portraits. They deliver wedding collections as well as portrait collections. Their events are charged by the hour. Shari Barnes Photography can capture a wedding or event out of town or even abroad. Shari's passport is up to date, and she loves to travel as well. Shari Barnes Photography offers a custom quote. Svoboda Imaging is a professional wedding photography studio in the Santee, CA area. Petr Svoboda of Svoboda Imaging believes in providing the highest quality photography with the most advanced equipment while setting a reasonable price. Svoboda Imaging offers numerous wedding packages to allow for couples to choose the services that best fit what they want and need. Svoboda Imaging is also available for destination weddings both across the country and around the world. In addition to wedding photography, Svoboda Imaging also does individual and family portraits. Petr’s customers speak highly about his kindness and flexibility with the budget, as well as his high-quality photography performance.